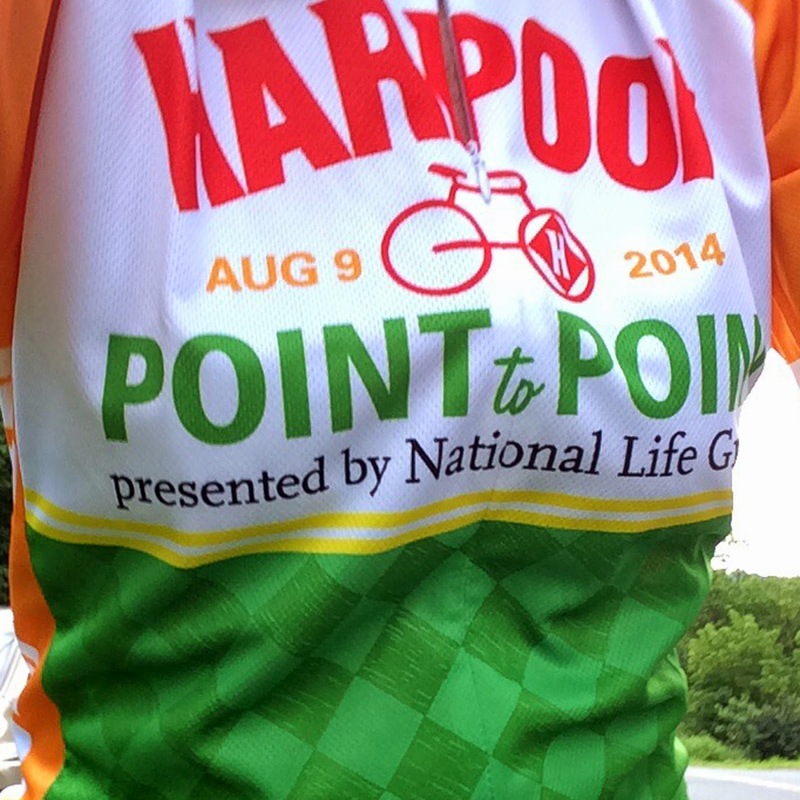 We had a spectacular day in Vermont for the Harpoon Point to Point, benefitting the Vermont Foodbank on Saturday. A record 800+ riders set out over three routes, (100, 50 and 25 miles) -- each a challenging route among rolling hills and a few steep climbs. I scared myself out of riding the 100 mile route, in part due to repeated emails from Harpoon noting route changes and elevation details. I knew the 50 mile route was tough all on it's own, and I had an attack of self-doubt on whether I could do the 100 or not. In hindsight, I know I could have. While waiting for the ride to begin, I ran into Beth Patrikas (who I rode the Seacoast Century with last fall), and her friends Lynore and Peter, so I joined them for the ride. It was a fantastic route starting at the Harpoon Brewery in Windsor, heading north to Quechee and Woodstock, and turning back towards Reading and Brownsville to Hartland, (and back to the brewery). Riding in Vermont is spectacular -- through the small towns along the Ottauquechee River, down a few hardpacked dirt roads, crossing small covered bridges, and passing farms and horse pastures along the way. So gorgeous. The hills are definitely a challenge... but it's worth the effort. It was a great day for a great cause, and I look forward to next year's 100 mile ride! !